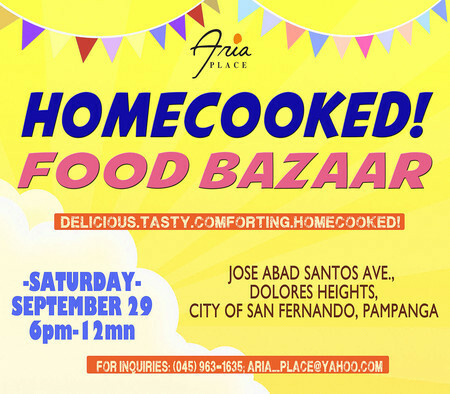 Aria Place will be hosting its first ever food bazaar event called “Homecooked! Food Bazaar” on September 29, 2012. The event will showcase delicious, tasty, home cook meals prepared by local culinary experts. It will be held at Aria Place, Jose Abad Santos Avenue, Dolores Heights, City of San Fernando, Pampanga; on September 29, 2012; Saturday from 6 PM to 12 MN. This family- friendly event is open for everyone who just wants to kick back, relax, and enjoy good food and company. The Homecooked! Food Bazaar is organized to showcase Filipino mastery in cooking in a homemade approach. 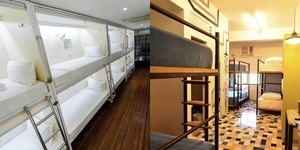 Home cooked meals often relate to comfort foods thus will give guest a feeling of relaxation and satisfaction. Local music talents will also be showcase in the event as the band will serenade guest with their soulful rendition of popular hits. Interested exhibitors of the Homecooked! Food Bazaar can contact Aria Place admin office in Pampanga at (63 45) 963-1635/ aria_place@yahoo.com or Caloocan Office at (63 2) 239-3529/ marketing_northwest@yahoo.com.